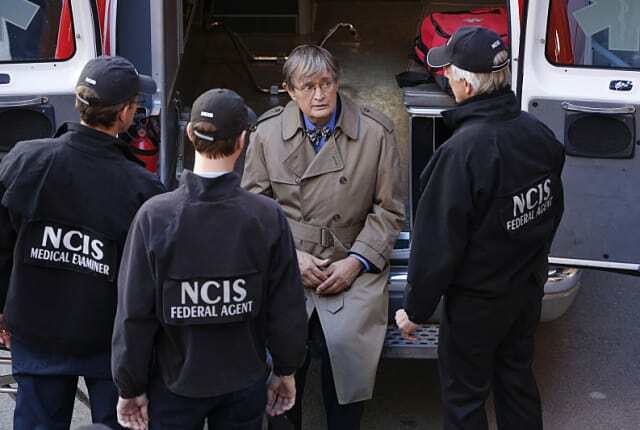 Watch NCIS Season 13 Episode 11 online via TV Fanatic with over 9 options to watch the NCIS S13E11 full episode. Affiliates with free and paid streaming include Amazon, iTunes, Vudu, Netflix, YouTube Purchase, Google Play, CBS All Access, Verizon On Demand, and CBS All Access (Via Amazon Prime). On NCIS Season 13 Episode 11, Ducky is attacked by someone who claims to have some information about his half-brother who died years before. A broken man has no business place in polite society. Permalink: A broken man has no business place in polite society. Nicholas: [beeps Ducky's nose and smiles] You got my letter! You found me, Donny! You found me! Ducky: I did that. I told you I would. Nicholas: And you broke one of the wheels on my Mallard. Ducky: I did. You cheeky little monkey. Permalink: I did. You cheeky little monkey.